If London wasn’t so inherently historic in itself the prospect of visiting a royal peculiar chapel, occupied castle and great park within a half hour trip would surely be too much to resist for most urban dwellers. Sat on the River Thames adjacent to Eton and within a stone’s throw of the rowing lakes of Dorney and the locks of Boveney Windsor is a town steeped in historical importance and regional hot spots. 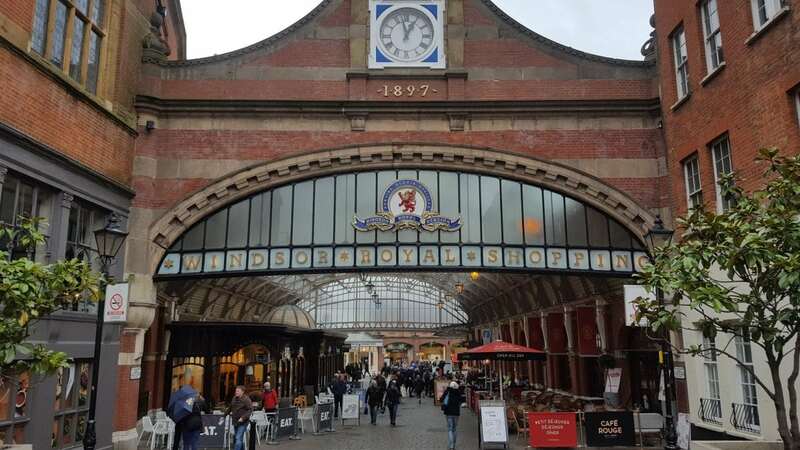 Named from the Anglo Saxon Windlesora – what a wonderful name – Windsor has at points been home to such dignitaries as Billy Connolly, Natalie Imbruglia, Michael Caine, Jimmy Page, Freddie Starr, Ranulph Fiennes and, well, the Queen. The castle which resides within the town is the oldest and largest occupied castle in the world. The chapel is both a royal peculiar and the chapel of the Order of the Garter. How wonderful. 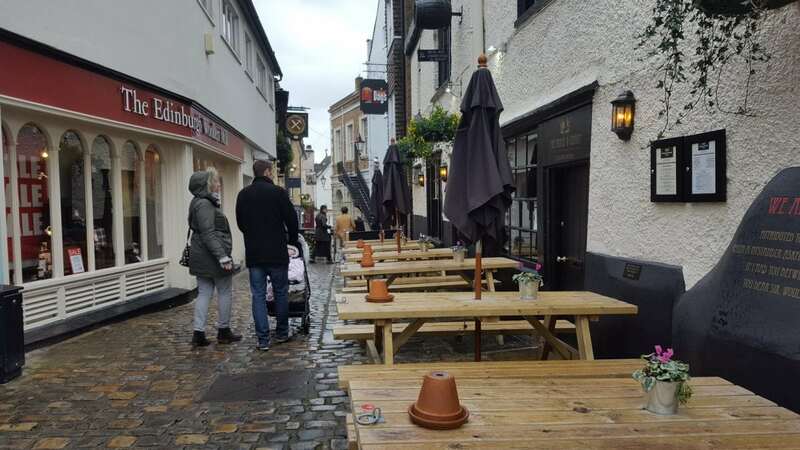 Today Windsor plays host to droves of tourists who make day trips to soak up its wonderful history and equally wonderful retail and gastronomy scene. Old shopping arcades house small shopping boutiques and cosy cafes, with the cobbled streets lined with old pubs and inviting restaurants. 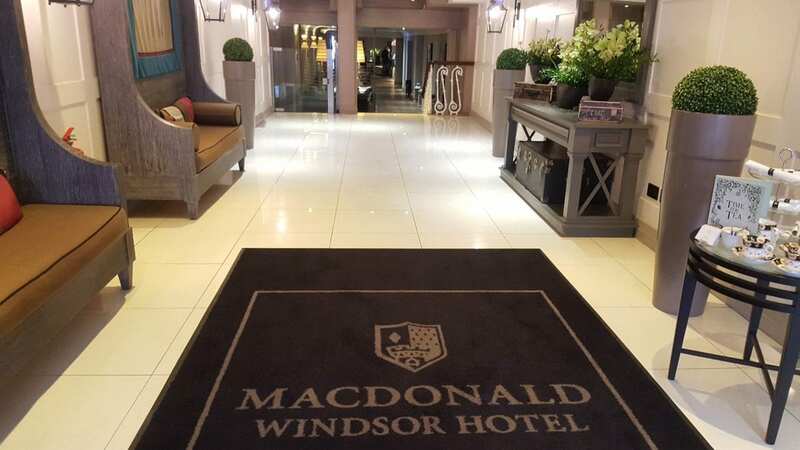 The Macdonald hotel sits at the heart of it all. Boasting 120 luxury bedrooms the four-star lodgings is a short two minute walk from Windsor Castle and a easily accessible by train from the quaint Central station – serving Slough and only Slough – and Windsor and Eton Riverside where trains run through to London Waterloo via Staines. The hotel has an inherently relaxing vibe about it. Walk through the rotating doors to scents of lavender and calming interior designs and you immediately start to wind down – a process that isn’t at all unhinged by the generous room size with all its comforting amenities. With legs feeling like jelly after a comforting bubble bath I took it upon myself to explore the town before the night drew in. The Royal Borough is home to some of the most well-known attractions in England and the Macdonald hotel was perfectly positioned to explore them all, but for me it was therapy of the retail and gastronomic varieties that I had travelled for and the town certainly didn’t disappoint in those areas too. After a couple of hours walking around boutique shops in historic arcades and sipping pints of local ale next to warm fires we returned to the hotel for supper in the Scottish Steak Club. Open to both hotel residents and visitors alike the restaurant prides itself on serving only the highest quality produce and finest Scottish cuisine in a contemporary setting, working whole raw ingredients sourced directly from local suppliers. 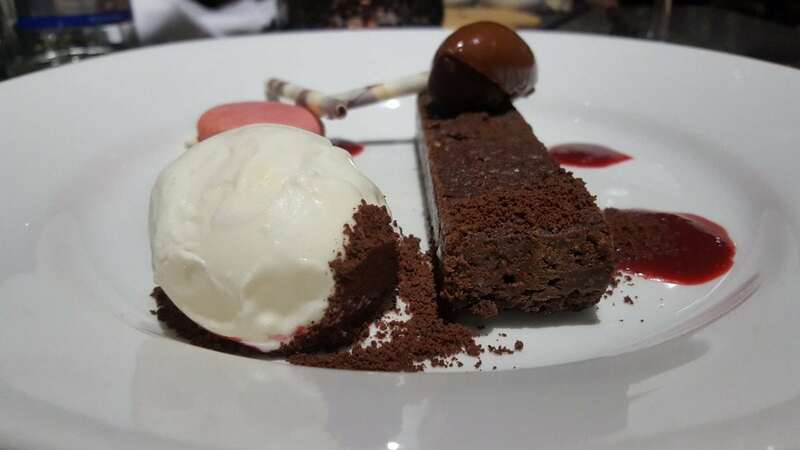 The menu offers an ever-growing range of organic food and drink, with imaginative interpretations of classic Scottish cuisine that are quite delightful to behold. The entrée is a case in point. 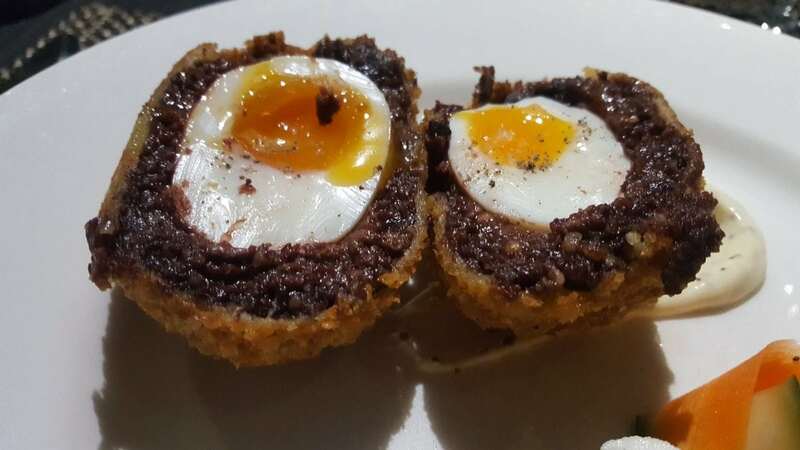 A haggis and black pudding bon bon is served with a wonderful Ardbeg whisky and honey dipping sauce as a nibble, with a selection of Scottish seafood, a Stornoway black pudding Scotch egg and vegetarian options for starters. The main course menu offers a range of steak cuts alongside fish options, salads and burgers ensuring all preferences are catered for. 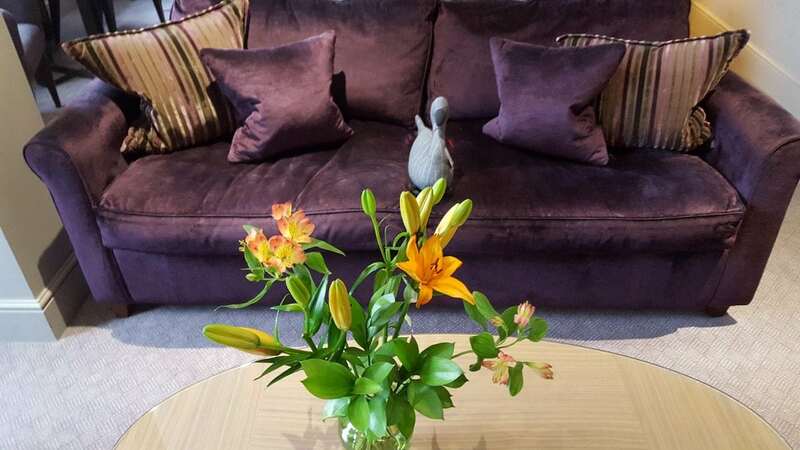 A relaxing sleep and a hearty breakfast in the same restaurant will set you up for another day of exploring, with luggage storage and brolly hire provided if you, like us, find yourself taking in the sights on a less than clement day.